We met Jérome and Céline, the founders of 7 Lieues in 2002 during an internship. We continue to work on their website and intranet. The 2013 version of their website showcases their achievements in full screen. This version uses a customised distribution of the famous SuperSized plugin, along with other fancies designed by our ex-mate Rod. 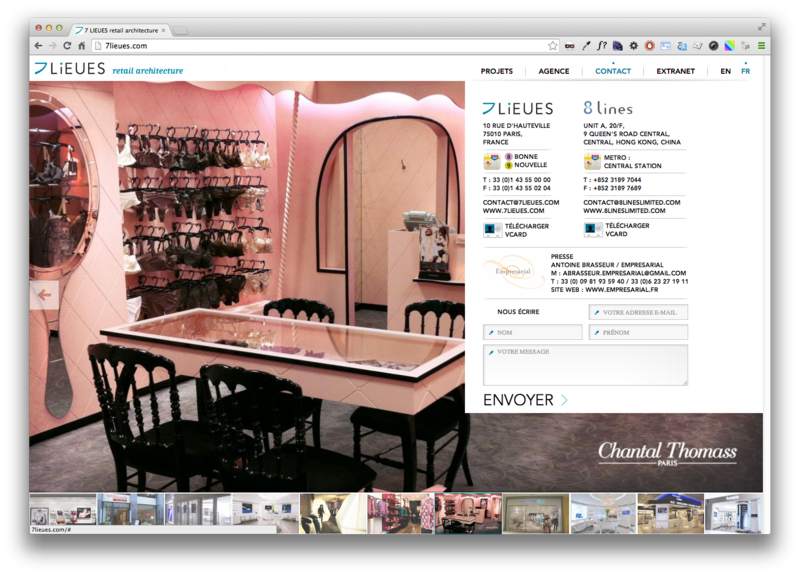 Back-office fully integrated to 7 Lieue’s extranet using KohanaPHP framework.